My video footage of the last flying Vulcan Bomber, August 2014 at the Newcastle, Co Down, Airshow, one year before the Vulcan's final flight. Farren was made a "Fellow of the Royal Society" (FRS) in 1945 and was knighted in 1952 in the Queen's first Birthday Honours List. It was to be another five years before the first flight of a Vulcan and nine years before Vulcans became part of the RAF fleet. 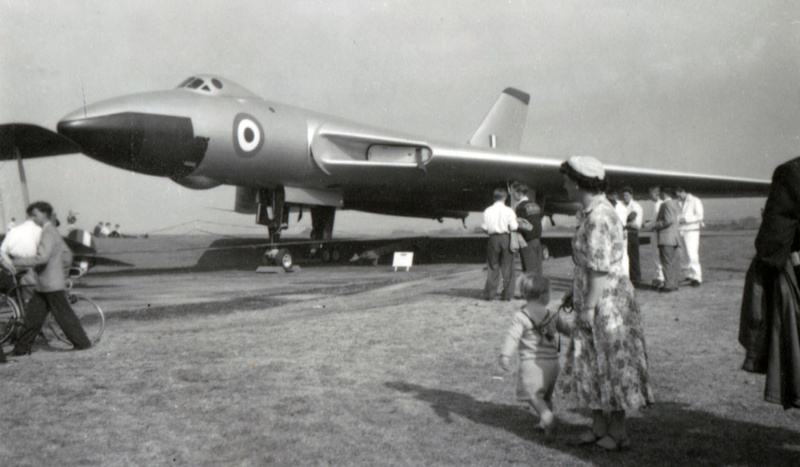 It was William Farren, knighted a month after it's first flight, along with Davies, Chadwick's successor as Chief Designer, who masterminded the Vulcan project and nursed it through to success. 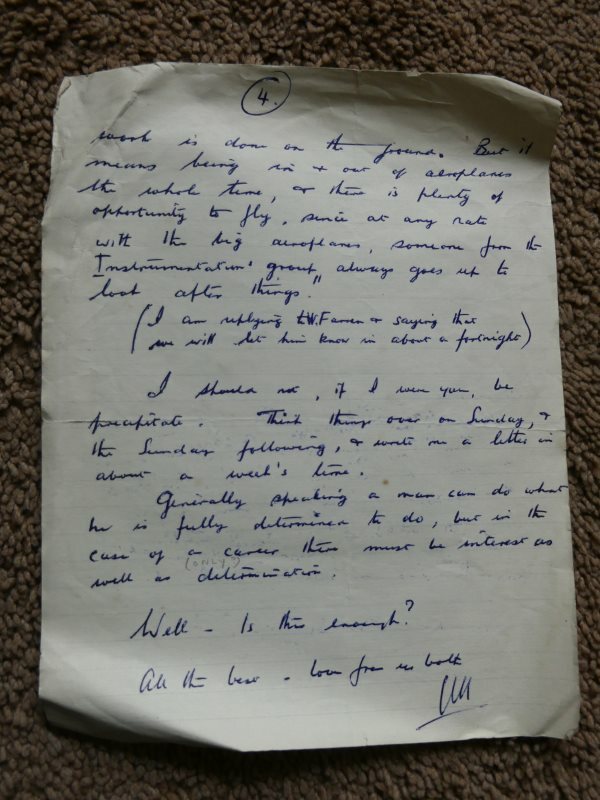 Farren handled flight test and research and dealt with external relations with the RAF and Government. The Vulcan configuration was totally new and experimental and many doubted that it would work. 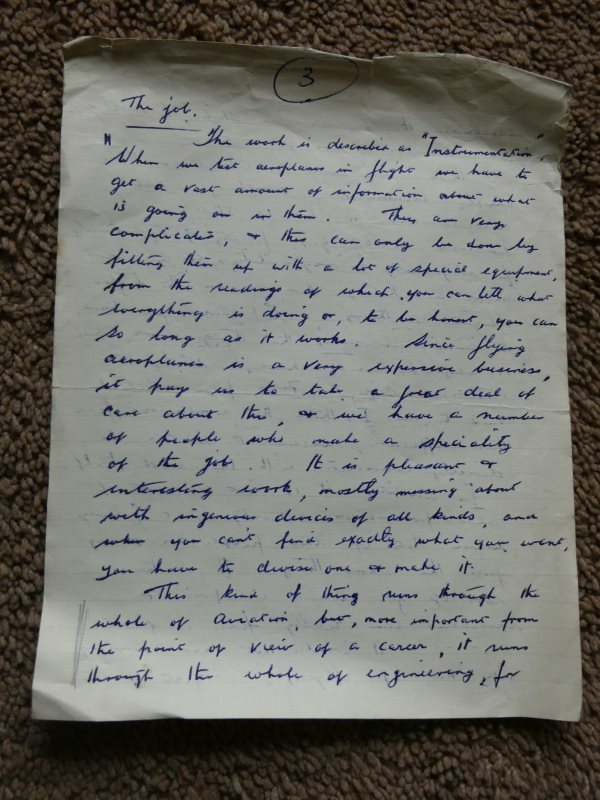 Davies credited Farren with being superbly good at the "politics" but also at being able to interpret and analyse flight and wind tunnel data in a way that was crucial to the success of the project. 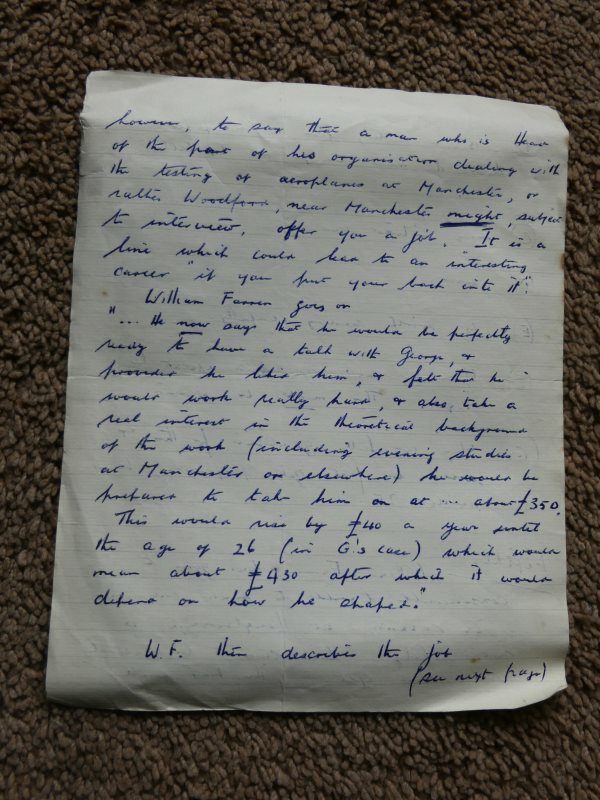 Ironically, one opponent to the Vulcan project was Farren's friend and successor at Farnborough, W. G. A. Perring. 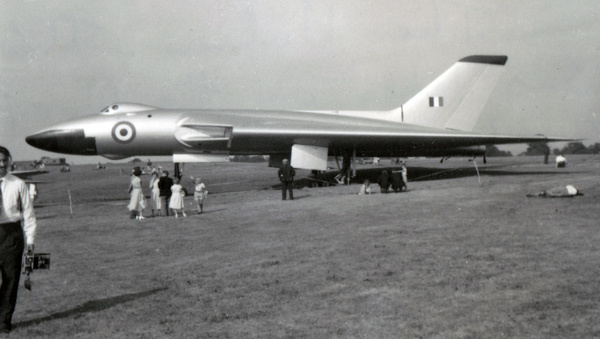 He and the Farnborough aerodynamic department concluded that there was a basic design fault in the Vulcan concept which was so radical that the entire project was unsound. G. P. Thomson / Arnold A Hall wrote, "Farren with his remarkable flair for amalgamating the theoretical and the practical managed to sustain the project despite this very difficult position, and subsequently justified the view he took." George P. Thomson and Arnold A. Hall, Biographical Memoirs of Fellows of the Royal Society V ol. 17 (Nov., 1971), p. 232. So it was that under his leadership the development programme proceeded with various one third scale model aircraft, the first prototype in August 1952, the first production model in 1955 and into service in 1956. Click here to see a news report about the Duke of Edinburgh's visit to learn more about the Vulcan Project in 1958. In 1954 Farren oversaw the initial development of the Blue Steel missile (Photo - Wikipedia, Public Domain) and it's integration into the Vulcan, as part of Britain's nuclear defence. This project was plagued with uncertainty about the actual size and weight of the proposed boosted fission warhead Green Bamboo, but was finally launched in 1962 after Farren had retired. Also in 1954, following the Comet disasters, Sir William was appointed as one of three assessors to the Court of Inquiry under Lord Cohen, leading to a significant report in the development of civil aircraft safety. Sir William retired in 1961. Lady Carol Farren, who had been in poor health for several years, died in February 1963. In October, Sir William married my great aunt, Mildred Hooke OBE, formerly headmistress of Bradford Grammar School. She devoted herself to looking after him as his own health failed over a perid of five years, until his death on 3rd July 1970. The Hooke family connection with Sir William appears to date back to Farren's time at Camnbridge University before WW1, when he first became friends with Mildred Hooke. 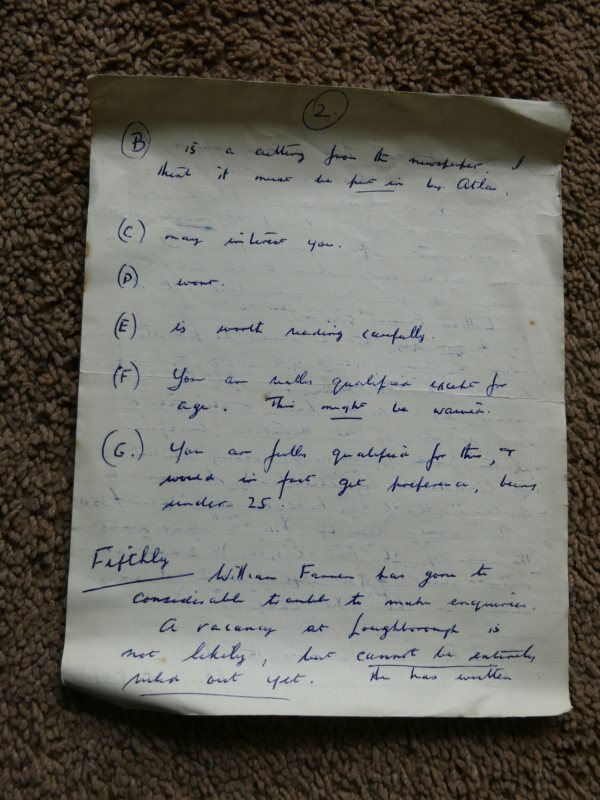 This family connection was also given very helpful expression for the benefit of my father, George Hooke, shortly after WW2, when he, aged 22, recently demobbed, was exploring career options. 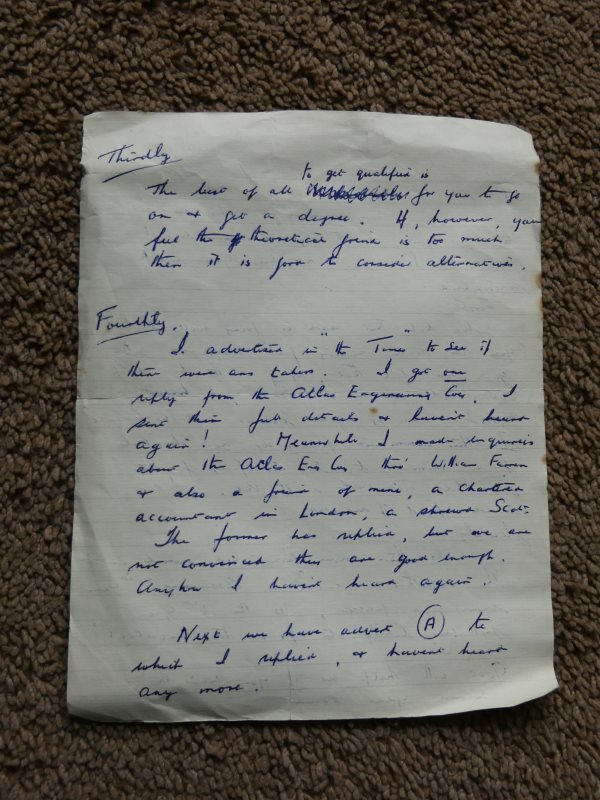 George's father, Cyril Hooke (MIldred's brother), wrote to William Farren (not yet knighted), seeking advice for his son. 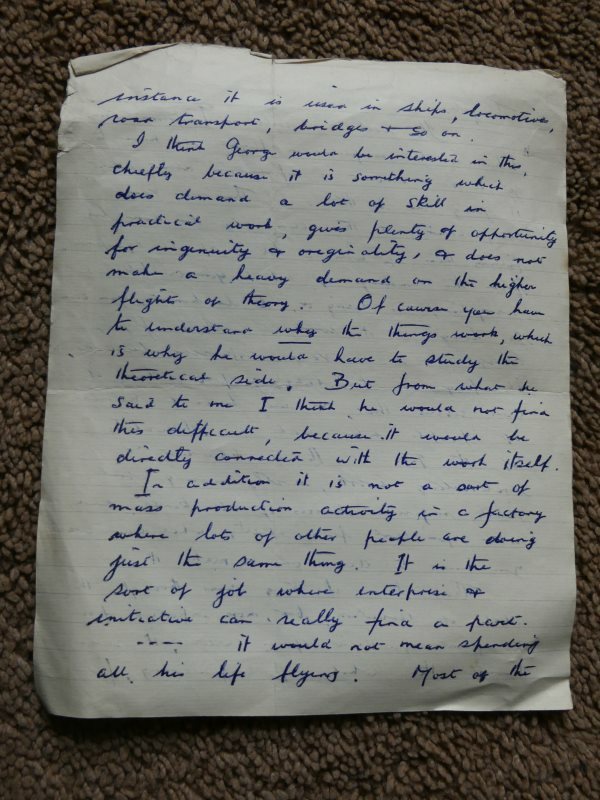 William wrote back at length and paved the way for George to begin a career in aviation engineering. 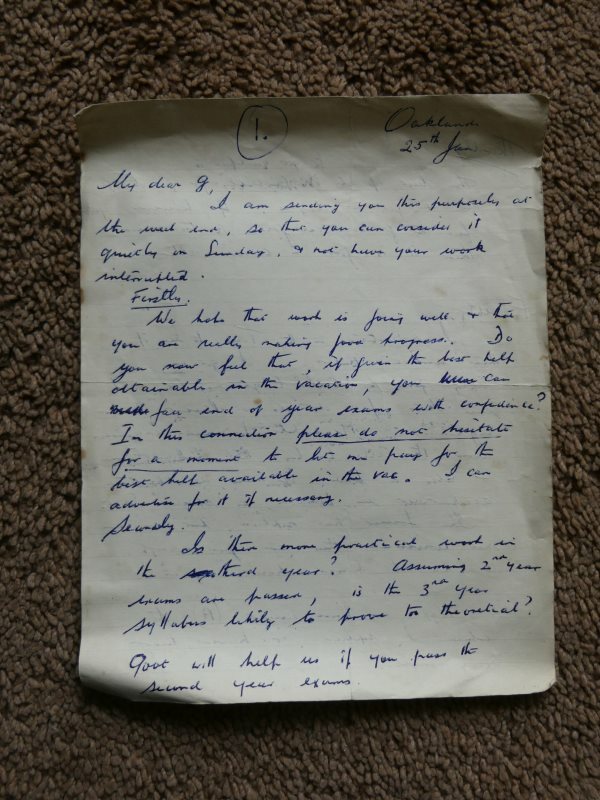 A transcript, of Cyril's letter to George, quoting Farren varbatim, as shown below, can be read here.